What Are the Uses & Benefits of Spirulina? Who Can Benefit from Spirulina? 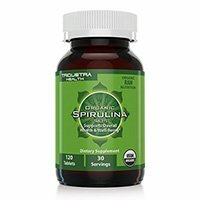 How Do I Take Spirulina? 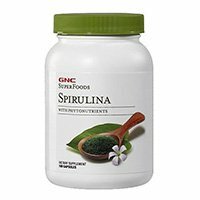 Are There Any Side Effects of Spirulina? 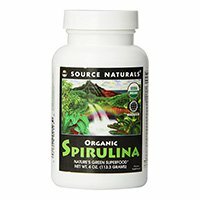 How Do I Pick a Good Spirulina Product? In order to help you find a good product we’ve researched & narrowed down the best spirulina supplements on the market right now. 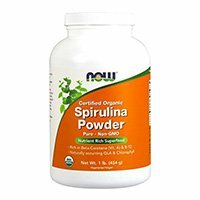 NOW Foods Spirulina is 100% pure spirulina powder, providing the full spectrum of spirulina benefits. NOW Foods Organic Spirulina is non-GMO, certified organic, and tested free of heavy metals, microcystins, and other contaminants. Founded in Illinois in 1968, NOW has since maintained a family-owned, quality-oriented business model. NOW Foods is serious about its responsibility to provide consumers with premium products that help them support their health. Keeping in line with their reputation, they make one of the top products on the market. Their facilities are GMP certified and employ the most rigorous quality assurance measures. Bottom Line: This is one of the best organic spirulina products you can buy. NOW Foods is a reputable manufacturer; you can be confident that their products have undergone rigorous testing and are free of contaminants. 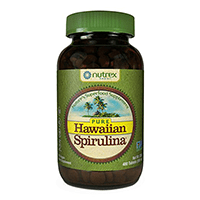 With overwhelmingly positive reviews, Pure Hawaiian Spirulina is one of the top spirulina supplements. The 400-tablet bottle option is their number one seller, as it offers users around two months of spirulina supply at an affordable price. Pure Hawaiian Spirulina is made by Nutrex Hawaii. As the name implies, the company was founded in Hawaii in 1990 by Dr. Gerald Cysewski, an expert on microalgae and carotenoids. Nutrex Hawaii is a GMP-compliant manufacturer that focuses on mixing the latest in scientific research with top-notch manufacturing practices. Bottom Line: This is currently the #1 bestselling spirulina supplement on Amazon; nearly 3,000 people can’t be wrong! The dosage form is small, which is a bit inconvenient. 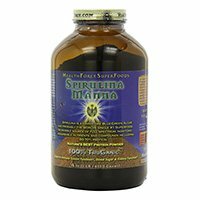 HealthForce Spirulina Manna is a 100% pure dry spirulina powder that is rich in protein and various other nutrients. HealthForce’s TruGanic™ quality standard ensures that this product has passed rigorous testing, and is free of pesticides, irradiation, and GMOs. It is also 100% vegan and gluten free. In 1990, two young visionaries with a passion for wellbeing and natural living met at a health conference for the first time. They would then go on to start HealthForce, grassroots style, and guide it through dedication and hard work to become one of the top natural supplement manufacturers. HealthForce believes in making quality products to help people live healthier lives. They have developed the trademarked TruGanic quality standard, which requires their products to pass through rigorous testing to ensure quality and purity. Bottom Line: HealthForce Spirulina Manna is a remarkably effective supplement. The 100% pure spirulina powder in this product is as close to natural as you can get. The price is a bit higher than that of other brands. 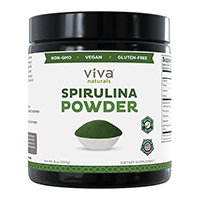 Source Naturals Organic Spirulina is a 100% pure certified organic spirulina powder. The dried powder form is as close to natural as you can get, which makes this a quality spirulina supplement. Each serving contains nearly 70% protein by weight, and a high content of minerals, vitamins, and other nutrients. Source Naturals Organic Spirulina is vegetarian friendly and is free of gluten, yeast, soy, corn, egg, dairy, or wheat. It is made without any artificial preservatives, coloring, or flavors. Established in 1982, Source Naturals quickly became a pioneer of the dietary supplement industry. Source Naturals was one of the leading companies in making formulations that contain multiple herbs and vitamins. Their high-quality products have helped wellness-conscious individuals take control of their health. Bottom Line: If you’re looking for an effective spirulina product, you can’t go wrong with Source Naturals Organic Spirulina. Although it is more expensive than other options, it is still good value. 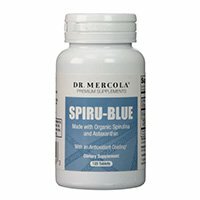 Dr. Mercola Spiru-Blue is another quality spirulina supplement. These good spirulina pills contain Astaxanthin, a carotenoid compound that has been associated with cardiovascular and immunity-boosting benefits. Dr. Mercola Spiru-Blue is organic, non-GMO, gluten free, and has been tested for heavy metals and other contaminants. The tablets are coated with phycocyanin, a spirulina extract that has antioxidant properties. Dr. Joseph Mercola is a Chicago-born physician and a published author. His interest in providing natural health products stemmed from witnessing improvements in his patients who modified their diets and became more physically active. Dr. Mercola products are well regarded in the supplement community. Bottom Line: This is a powerful spirulina supplement that is made by a respected manufacturer in the health scene. Dr. Mercola’s products are guided by scientific research and clinical experience and adhere to strict quality control measures. For anyone looking for a great product, this fits the bill. Triquetra Health Spirulina provides a nutrient-rich superfood in a convenient tablet form. This vegan product is effective, free of toxins, heavy metals, and other contaminants. This product has passed the rigid organic certification requirements of every major organic certifying body. With rigid testing processes and quality assurance measures, you can rest assure that their product is pure and contaminant free. Triquetra Health makes some of the best nature-based health supplements. Their quality guarantee is that all their products are organic, GMO and gluten free, made without synthetic chemicals, 100% vegetarian, and meet with the most stringent quality certification criteria. Keeping in line with this, this product is one of the best spirulina products you can buy. Bottom Line: You can’t go wrong with Triquetra Health Spirulina. This organic spirulina has undergone exceptional testing to ensure that you get the purest and most effective spirulina supplement. Taken in the recommended dosage, these easy-to-swallow capsules can provide you with a range of benefits of spirulina. Solaray was founded in Utah in 1973 and has since been a leading manufacturer of dietary supplements. They follow GMP guidelines and employ rigorous testing and screening protocols, ensuring the purity of their ingredients and potency of their supplements. 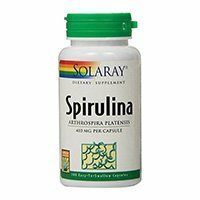 Bottom Line: Solaray Spirulina is another good supplement that is made by a reputable company. 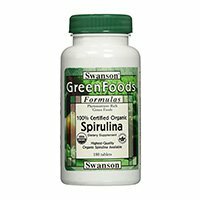 Swanson’s Spirulina is a 100% certified organic product that is popular among spirulina enthusiasts. It comes in the form of easy-to-swallow tablets, providing you with an effective formulation. The spirulina contained in this product is Parry’s Vegetarian Organic Spirulina, which is widely regarded as one of the top formulations. Swanson Health Products was founded in 1969. Leland Swanson, the founder, was suffering from arthritis, which limited his ability to play the sport he was passionate about, golf. He decided that he wanted to make health-supporting products that can help people to remain healthy and enjoy their lives. As a family business, Swanson Health Products is wholly committed to making premium-grade dietary supplements to help you pursue your passions in life. Bottom Line: This is a very good supplement that is cheaper than many other brands. It comes in a smaller dosage form, which may be a bit inconvenient. GNC Superfoods Spirulina comes in the form of gelatin capsules that contain spirulina powder. Due to its high content of protein, phytonutrients, minerals, and vitamins, this product certainly deserves the label “superfood”. As a company, GNC prides itself on its commitment to rigorous quality control. Their status as an industry leader stems from their dedication to potency, safety, truthful labeling, as well as their pursuit of the latest and greatest in nutritional science research. Bottom Line: GNC Superfoods Spirulina small dosage form makes it a little less convenient to use, but that is eclipsed by its potency. The California-grown spirulina contained in this product is GMO and pesticide free, making it an exceptionally effective spirulina supplement. The high content of protein, vitamins, minerals, and other beneficial phytomolecules makes this a very nutrient-dense dietary supplement. Established in 2011, Viva Naturals is a newcomer to the dietary supplement game. However, their obsession with quality and their involvement in every step of the manufacturing process has resulted in their quick rise to popularity in the health and wellness community. Bottom Line: This is a great choice for anyone looking for a strong spirulina supplement. The 100% pure California-grown spirulina is very effective, but its taste may not be agreeable to some people. Spirulina is the common name for two species of microorganisms: Arthrospira platensis and Arthrospira maxima. Although often called blue-green algae, the spirulina that is used as a dietary supplement technically belongs to the group Cyanobacteria, a non-infectious type of bacteria that gets its name from its bluish color. Spirulina can be found naturally growing near lakes and in tropical areas as a biomass or a collection of the organisms. It can be cultivated and used as whole food or made into powder or dietary supplements. The potential of spirulina was realized long ago by the Aztecs, who used it as a common food source, and even made cakes from it! If anything deserves the label “superfood”, it is definitely spirulina. It contains significant amounts of proteins, essential amino acids, vitamins, minerals, essential fatty acids, polysaccharides, and glycolipids. Up to 70% of the dry weight of spirulina is protein, nearly three times as much as beef protein! Also rich in iron and carbohydrates and providing around 290 calories per 100 grams of spirulina, spirulina has become a key player in the conversation to address the issues of food security and scarcity. Due to its extremely high nutritional value and ease of cultivation, NASA scientists have proposed that spirulina may be grown and used as a food source by astronauts on space missions! Spirulina is also commonly used as a dietary supplement, coming in the form of tablets or dried spirulina powder. Spirulina platensis is the species most commonly used in dietary supplements. The best spirulina supplements provide protein, amino acids, vitamins, iron and other minerals, and beneficial lipids such as gamma-linolenic acid (GLA). Some spirulina supplements may be fortified with extra nutrients and minerals, adding to the benefits of whole dried spirulina or spirulina extract. Nutrient rich: Spirulina is an incredibly nutrient-rich plant. In a single tablespoon of dried spirulina, you will find 4g of protein, high amounts of vitamin B1, B2 and B3, copper, iron, magnesium, and more. Gram-for-gram, spirulina is one of the most nutritious foods on earth, if not the most nutritious. For this reason, spirulina is added to many superfood blends, energy bars, and health supplements. In short, spirulina serves as an excellent source of vitamins, minerals, amino acids and other nutrients that our bodies need to function. Antioxidant & anti-inflammatory: Spirulina is considered to have both potent antioxidant and anti-inflammatory effects. The main active compound in spirulina is called phycocyanin, which is the same compound that gives spirulina its unique color. Phycocyanin has potent anti-inflammatory effects, and also protects against oxidative damage caused by free radicals. Oxidative stress can increase the risk of a variety of health concerns, including cancer, leading many experts to believe that antioxidants like those found in spirulina may help to reduce the risk of developing cancer. Cholesterol: Spirulina is thought to have a beneficial effect on cholesterol levels, potentially lowering LDL cholesterol and triglycerides. It’s also been effective in raising good cholesterol (HDL) levels, while lowering bad cholesterol. Thus, spirulina can help to reduce several risk factors for heart disease and other serious health concerns. Cancer: Spirulina has shown some promise in preventing the development of cancer, particularly oral cancers. A study in India looked at 87 people with precancerous lesions in their mouths. After 1 year of spirulina supplementation, 45% of participants showed complete regression of precancerous lesions, compared to just 7% of the control group. Spirulina has shown significant promise in addressing oral cancers, but some researchers believe it may have potential for a broad range of cancers. More research is needed. Blood pressure: There is some evidence to suggest that spirulina may help to lower blood pressure. This effect is attributed to spirulina’s effect on nitric oxide production, which helps blood vessels to dilate and relax. More research is needed. Exercise: Spirulina may help to boost exercise performance and endurance. Oxidative damage to the muscles can be induced by exercise, which contributes to muscle fatigue. Spirulina’s antioxidant activity is thought to ward off this oxidative damage, allowing athletes to perform for longer without tiring. Blood sugar: Several animal studies have pointed to spirulina as a potential tool in controlling blood glucose levels and symptoms of diabetes. In some cases, spirulina actually outperformed prescription diabetes medications. Clinical evidence from human trials is limited, but one small study found a significant reduction in blood sugar levels in type 2 diabetes patients. More research is needed. Overall, spirulina is incredibly nutritious and has a host of potential health benefits. It’s one of the few foods that truly deserves the label of “superfood”. The nutrient content alone is enough to consider taking spirulina, let alone the potential for notable health benefits. People with allergies – Studies have indicated that spirulina may modulate immune function, improving the symptoms of allergic rhinitis through an unknown mechanism. People with diabetes and/or cardiovascular disease – Clinical trials have pointed to glucose and cholesterol lowering effects of spirulina. People suffering from malnutrition – Due to its very high content of essential nutrients, spirulina is a high-value nutritional supplement. This is especially significant in HIV-positive individuals who are malnourished. People who live in areas with high arsenic content in drinking water – The previously mentioned study has shown that spirulina may be used to treat people with chronic arsenic poisoning due to contaminated drinking water. People with weak immune systems – Spirulina possesses immunity-boosting effects, which may be beneficial in combating viral infections and cancers. Furthermore, spirulina may possess direct antiviral activity. *No currently existing evidence supports the use of spirulina as standalone therapy or as a substitute for conventional therapy for any of the above indications. Consult your physician before making any changes to your treatment regimen. Spirulina supplements often come in the form of pills or dried powder. Pills are more convenient to consume, while powder may be blended into smoothies, salads, bread, and used as seasoning on many foods. The choice is up to personal preference, and both forms should yield similar results. You can refer to Examine.com’s spirulina guide for more information on dosage. In 2011, the Dietary Supplements Information Expert Committee (DSI-EC) of the United States Pharmacopeial Convention (USP) assigned a class A safety rating for spirulina, indicating that the available scientific evidence does not indicate a serious health risk. By itself, spirulina is largely safe for consumption and free of side effects. However, issues may arise if the spirulina is contaminated with heavy metals or other toxic contaminants. Lead, arsenic, or mercury poisoning may result from consumption of contaminated spirulina. Another possible spirulina contaminant is microcystin, a liver-damaging toxin. Good products will be made by reputable companies that strictly adhere to good manufacturing practices (GMP) and should be virtually free of heavy metal contamination and microcystins.